Pavement milling is probably one of the millings that go on every day. Due to their small size, small budget and the number of the machine needed, these are some of the most common projects that you will find in the market. 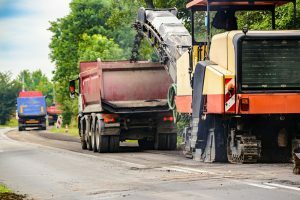 However, like the bigger project, the performance of the pavement milling machine is an important factor to consider. If you lack proper performance, it simply means that the machine will also fail to hit high productivity as expected. The effect will spill over to the kind of milling done and the turnaround time for the project. That is why it is important to ensure that you have checked the issue of the performance of the machine. There are various types of pavement milling machine, and each is designed to handle different surface. That is why you find machines with varying capacities in terms of horsepower. There are small machines with small horsepower, and they can only handle small pavement milling. There are also larger machines that handle larger tasks. You need to know what your machine can handle and do not overload it. Another critical aspect that most people ignore is the quality of the operator. Most people, especially those hiring plant operators do not care much about the quality of the operator. All they check is whether they can operate the machine. But that is not enough to guarantee the high performance of the pavement milling machine. Experience is what matters when hiring the right operator. Check how long they have been operating similar machines? If the operator has a good track record, they will be able to deliver high and constant performance.